September through April, the overnight recreational program allows dedicated parents and caregivers time to rest and re-charge while their loved one build friendships, enjoys new experiences and builds independence. Standard staffing for Respite programs is a 4:1 ration. One-one-one staffing is no longer available for this program. Stay tuned! Weekend Overnight Respites are currently in their off-season as we lead our Summer Overnight Staycation program at Camp Allyn. 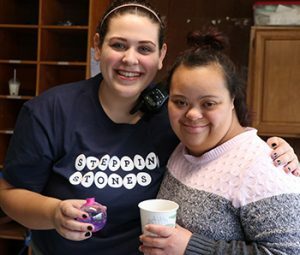 Fall 2019 and 2020 Respite dates will be announced in early July.